Parts shortage cuts UK Toyota production | What Car? 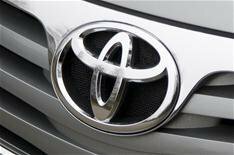 Car production at Toyotas UK factory has been reduced because of a shortage of parts for its models. The parts shortfall has been caused by damage from the earthquake and tsunami in Japan, forcing workers at the Burnaston factory in Derbyshire to work half-shifts for three days a week. The factory will be shut for the other two days. This work timetable will be in place for the whole of May. Toyota has also announced that production in North America will be cut by 70%, and China between 50-70% until early June, while all of its Japanese factories are operating subject to parts shortages.